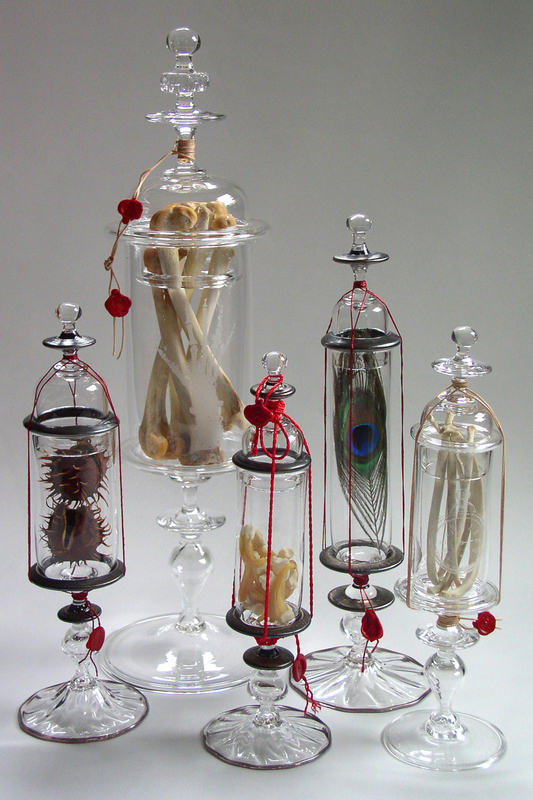 The reliquary jar series is an exploration of the relationship between the container and the contained. 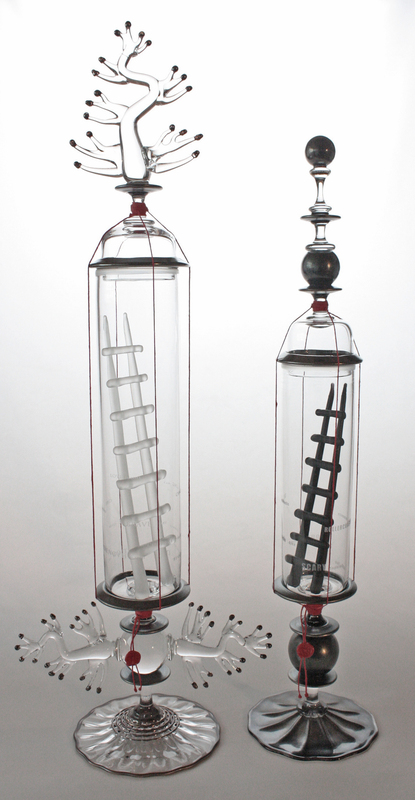 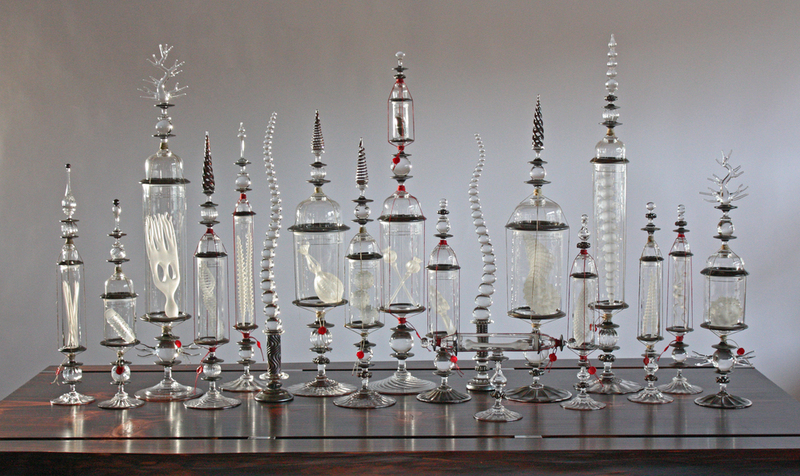 Based on similar blown vessels from Eastern Europe dating to the seventeenth century (examples can be found in the Corning Museum of Glass) which were designed to hold religious artifacts such as saint's bone fragments and locks of hair, these pieces contain both selected found objects and glass objects fabricated at the furnace. 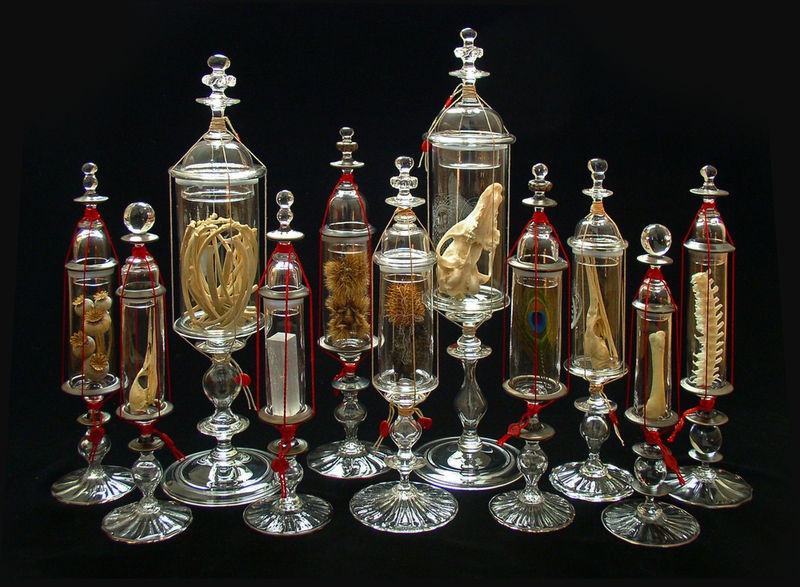 I am interested in the question of what we consider "sacred" and how does something become designated as such?